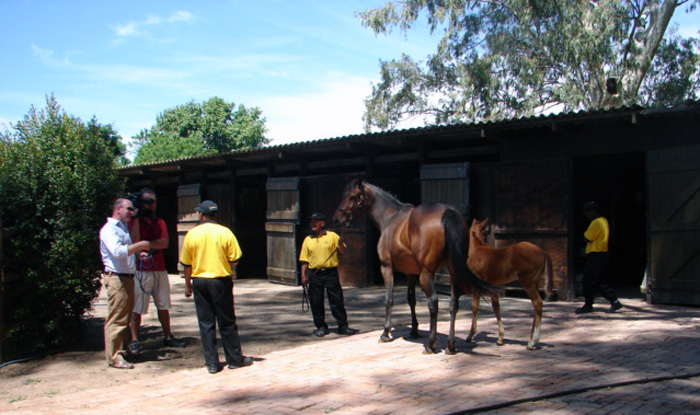 The biggest success of the Thoroughbred Industry Transformation Programme was achieved by Riverside Thoroughbred Co-operative in 2011. Beating all expectation the Riverside Grooms Cooperative sold a Silvano colt, Lot 304, for R1.4M at the National Yearling Sales. One of only 16 lots to make 7 figures at this flagship sale. The colt was none other than the legendary multiple graded stakes winner Vercingetorix! The Chairman of the Riverside Co-op, Mr. A. Carelse from Riverton Stud, said that he had been involved with horses for 28 years and knows that this doesn’t happen every year. The family (Trinity House, Never Forever and Allocation) came to light in a big way at the right time. 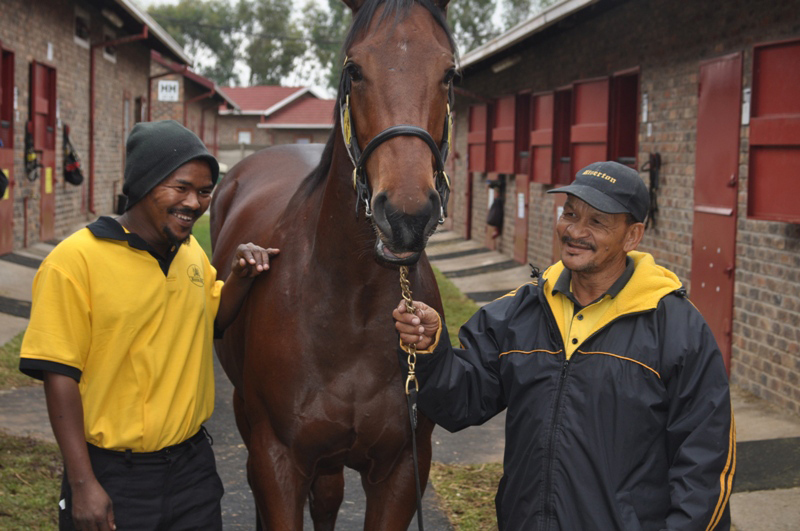 They were absolutely thrilled and thanked Klawervlei for selling them the colt as a weanling and thanked buyer, Mike De Kock for Sheikh Mohammed Bin Khalifa Al Maktoum. To view the TV documentary, produced by Kevin Harris, of this incredible success story click on the video link below. 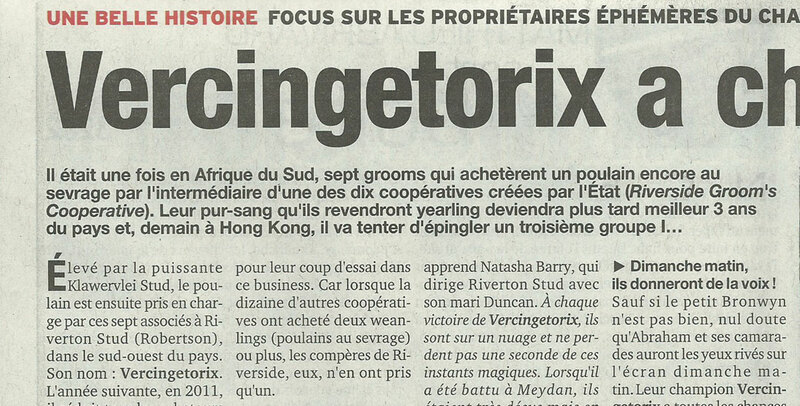 As a true champion Vercingetorix was not only a wonderful ambassador for South Africa, but his amazing story captured the hearts and minds of the racing public and the humble grooms who pin-hooked him were interviewed by Paris Turf and the New York Times. 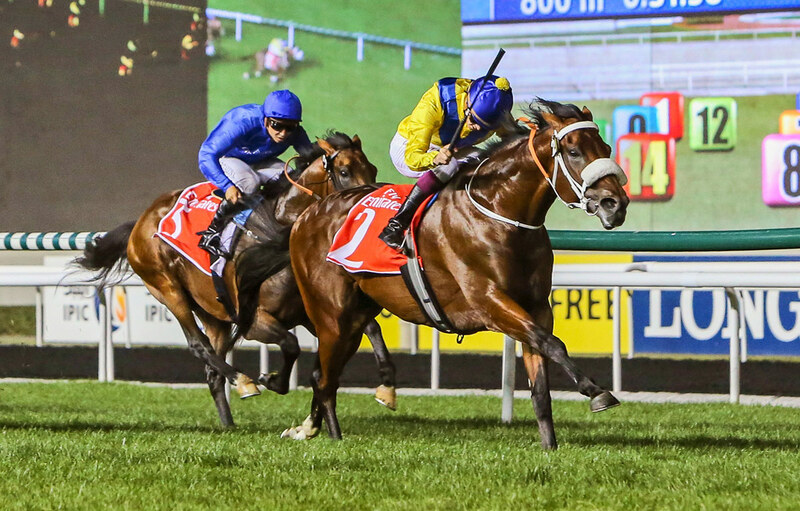 Vercingetorix wins 3 races in Dubai including the Gr1 Jebel Hatta and the Gr2 Al Rashidiya and runs 2nd in the Gr1 Dubai Duty Free. Vercingetorix runs 3rd in the Gr1 Audemars Piguet QE11 Cup. Out of only 9 starts Vercingetorix won 7 and placed twice. Sadly the five year old superstar Vercingetorix suffered a ligament injury defending his Gr1 Jebel Hatta title. He retired to Maine Chance Farm as a stallion. 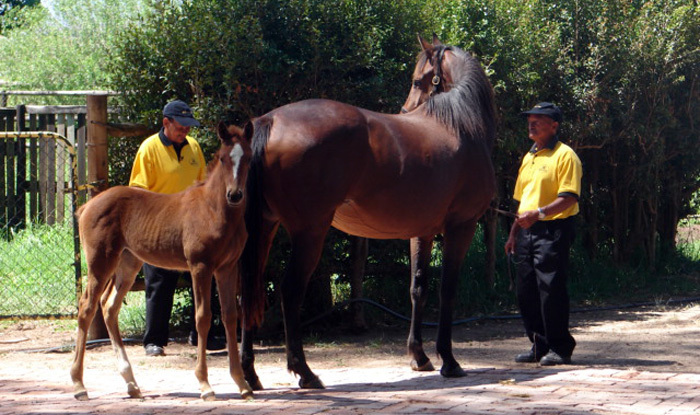 In keeping with the transformation policy to build a viable business, Riverside Co-op subsequently purchased their first mare from Klawervlei Stud. This Victory Moon out of Shadow Dancing mare produced their first foal in 2011. They have also successfully pin-hooked a few other weanlings for resale and purchased a share in the stallion GimmeTheGreenLight which they subsequent sold in 2017 for a handsome profit. It was with great excitement that their mare Victory Dance produced a colt by Vercingetorix in 2016! Coming full circle - 3 of the 7 Riverside grooms with their Vercingetorix foal born in 2016! 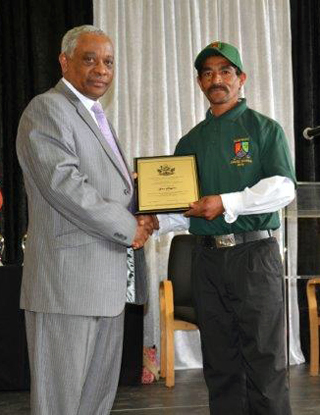 In 2010 a Grooms Co-operative Scheme was developed in South Africa by Adrian Todd in conjunction with the Cape Breeders Club, Western Cape Department of Agriculture and the Department of Trade and Industry (DTI). The co-op scheme is tied into the training, in that only grooms that have been involved in the training programmes are eligible for the co-op scheme. 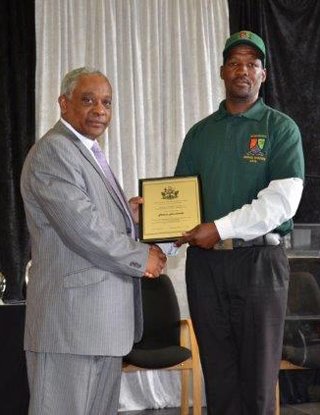 In its first year there were a total of five co-operatives formed in the Western Cape and 5 in the rest of the country. Since then another 20 groom’s co-operatives have been established with more in the pipe-line. The training is an on-going process. There are only seven grooms per co-op. The numbers need to be kept at this level so that the scheme has financial impact for the grooms. This will give the grooms a direct stake in the industry without the need to invest in the huge infrastructure capital outlay required. 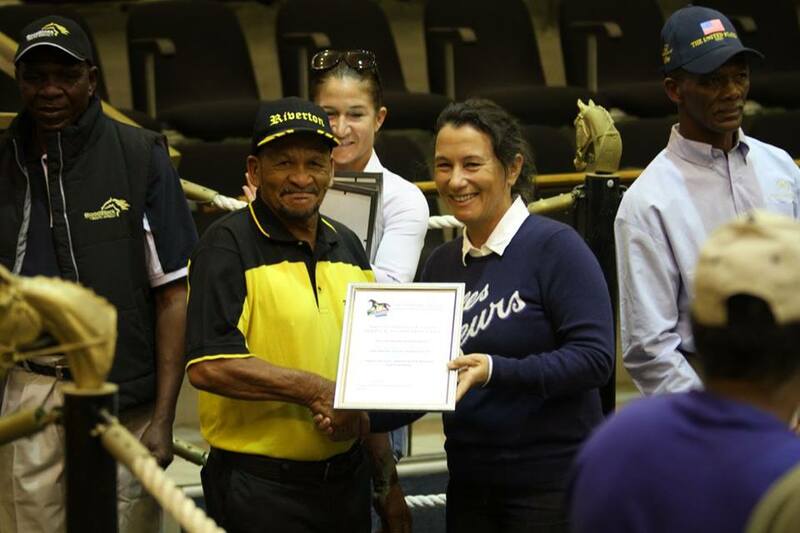 On behalf of the grooms and the thoroughbred industry we would like to extend a special thank you to Adrian Todd for realising his vision and to Donald Mabusela and Thami Klaasen from the DTI and to Minister Gerrit Van Rensburg MEC Agriculture. Horsemen like John Kramer have assisted with pin-hooking weanlings, breeders have offered to sell their weanlings and some breeders have boarded weanlings at cost. The list of people in the industry who have all played a role are too numerous to mention. Suffice to say that the will of the thoroughbred industry is behind this initiative to succeed. Riverton Stud is proud of our 3 grooms who received training and became members of one of the most successful co-operatives, Riverside Thoroughbred Grooms Co-operative. 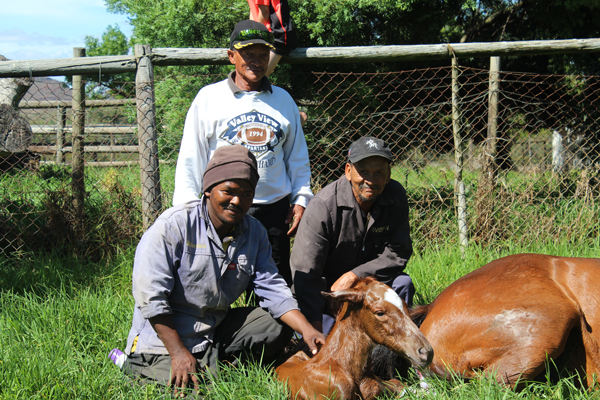 To promote the scheme at national level the Thoroughbred Breeding Association in conjunction with BSA have taken over the running of the programme and a further 3 grooms from Riverton have now received Eqasa module 1, 2 & 3 training at Elsenburg and also become members of a new groom’s co-operative, Rivervlei. We wish them every success with their business endeavours. 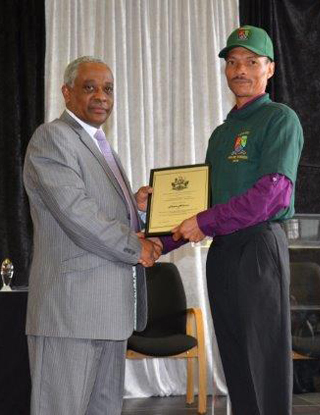 Congratulations to Mr. A. Carelse, Riverton Stud Head Groom, on receiving a Long Term Service Award from the TBA in May 2017.